Have you ever wondered what it was like to live in that dark period of our nation's history when the free press was shut down, the voice of the people was suppressed, and thousands of Filipinos were abducted, tortured and summarily executed? 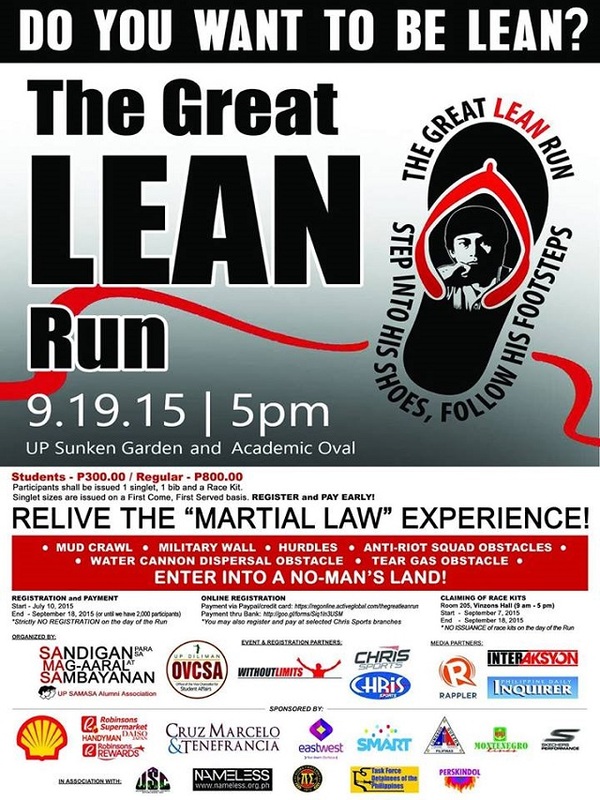 The University of the Philippines is again living up to its reputation as the bastion of youth social consciousness, this time through a obstacle run that will give runners a taste of what it was like during the years of Martial Law. 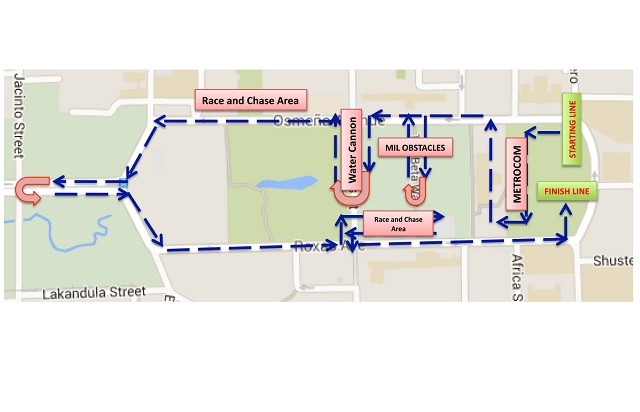 Dubbed The Great LEAN Run (TGLR), the activity will feature obstacles reminiscent of dictatorial rule, such as barbed wire, water cannons, anti-riot police, arbitrary arrests and much more. Runners will aim to survive the challenges of the course for a chance to win prizes, not to mention unique bragging rights. TGLR honours the life of Lean Alejandro, student leader of the 1980s who led the student movement that helped a national people's action to depose then President Ferdinand Marcos. Atty. Susan Villanueva, Chairman of the UP SAMASA Alumni Association, said, "The overthrow of the dictator and our subsequent return to democracy is a major victory of the Filipino people. The youth of today should be made aware of the real situation at the time so that they can learn from it and be guided by its lessons as they become the new leaders of the nation." Proceeds of the obstacle run will go to the UP fund for the Liwasang Lean Alejandro.